It seems like over the last month or so there's been something making its way through my entire house causing us to feel rundown. First it was my husband, then it was my daughter, and so on and so forth down the line, oh and back to my husband at one point. It was just crazy how long it stuck around and wouldn't let us break free. Once my supply of Ester-C arrived I immediately opened a bottle for each bathroom and had everyone start taking them. I knew I had to do something to help give our immune system that support it really needed. Other over the counter remedies and rest just weren't enough on their own. Thankfully I can say right now the only thing we have floating around is some sneezes and sniffles from allergy season. But I'm glad at least we are all in better spirits and full of energy again. We've since continued to use Ester-C on a daily basis now as none of us want that awful feeling back. Plus we are taking some extra care of our bodies from the tips below to avoid any more setbacks. Check out these great tips from Ester-C’s partner Amanda Burrill, a health & lifestyle columnist and the Premiere Ambassador of USA Today Sports Active Alliance. Know What To Eat: Our stomach is often the epicenter of good (or poor) immune health. The more foods we consume that are dense in macro- and micro-nutrients, the better. And as with any healthy lifestyle regimen, try to avoid foods that are fatty, fried or high in sugar. Always Hydrate: Consuming enough water in the day is essential for immune support. It helps flush your body of potential toxins and can even support food digestion. Enjoy Exercise & Sleep: Both exercise and sleep play important roles in a healthy lifestyle and supported immunity – exercise promotes good circulation and immune strength, while sleep provides the adequate downtime a body needs to maintain that immune strength. Control Your Mind to Support Your Body: Beware of stress, specifically chronic stress. Identify ways to promote mindful well-being, and understand the impact stress can play on the body and the immune system. Understand the Vitamin C You’re Taking: You might not know that vitamin C can differ in characteristics such as source, absorption bioavailability, efficacy, and tolerability for stomach sensitivity. 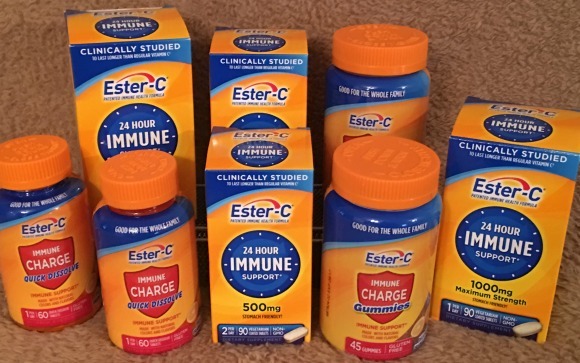 Studies have indicated that Ester-C – which contains calcium ascorbate and small amounts of the vitamin C metabolites – is absorbed more readily and excreted less rapidly than ascorbic acid, the more traditional source of vitamin C. The metabolites in Ester-C also increase the bioavailability of vitamin C in the body. Meaning you get more of the active effects of vitamin C to support immune health.